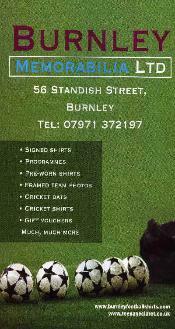 short history, Burnley were heading in to uncertain times. defence that let the team down, Burnley shipped 98 goals that season. Charles Sutcliffe was in charge of the England team that day. 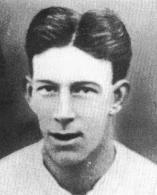 Billy Downs, was also badly injured, and never played for the club again. though they beat Derby County 6-2. Burnley in 8th place at the last. wins and a draw, saved Burnley's league status. 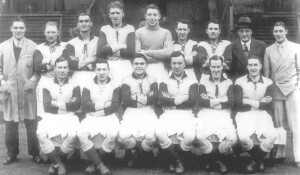 England international and Liverpool player Tom Bromilow replaced him. the season had been avoided. 56,625 put pay to any dreams of FA Cup glory. Another season of steady recovery had been negotiated. game, but this backfired drastically as crowds plummeted. of 15, called Tommy Lawton. helped the club through a very difficult period. years, his influence over all to the game, can still be felt today. fields of Northern Europe to fight.